Custom t-shirts for a birthday party is a great new trend because they are fun, inexpensive, and make a great party gift. This is a great idea for any parties that is geared around team based events or simply to keep track of the attendees on a birthday party outing. Often times our clients come to us with a basic idea for a custom t-shirt for a birthday party. We then take that idea and create a design that is both unique and memorable. Custom t-shirts for a birthday party popularity isn’t limited to childrens parties either. We print custom birthday party t-shirts for over the hill, dirty thirty, and any age that is a true achievement from sweet 16’s to 50, 60, and all others. 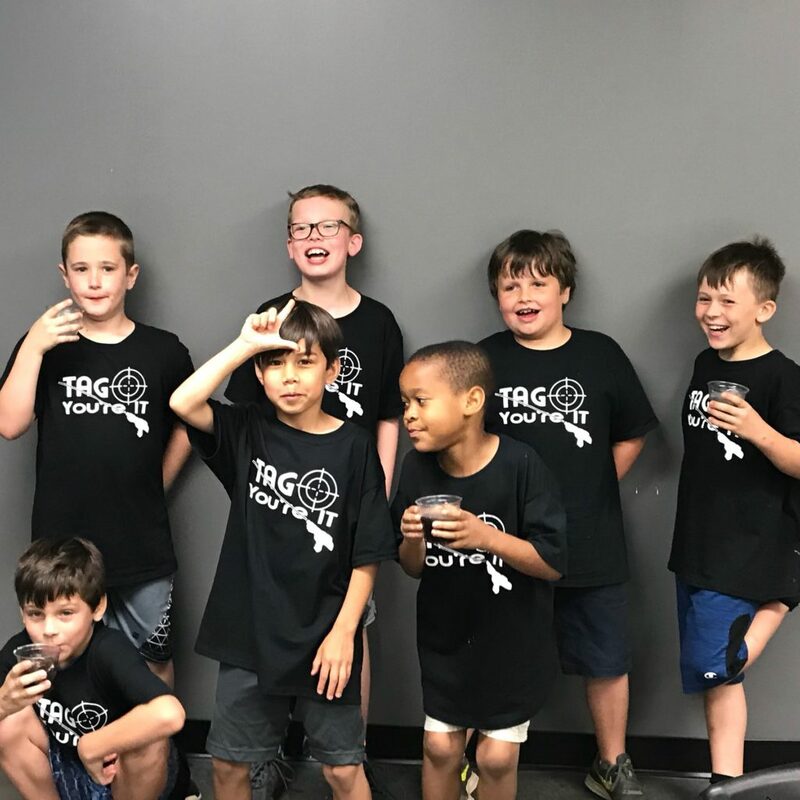 Team based children’s birthday parties have gained popularity do to various places that cater to birthday parties such as lazer tag and paintball destinations. Custom birthday party t-shirts can be done in a couple different colors so you can set teams. Olympic parties are popular in Olympic years and t-shirts make a great party gift for these too. Really though every likes to receive a t-shirt so they make a great keepsake amd party gift. Sometimes the kids will come up with the design and other times we are asked to put something together. Either way is fine with us. Just make sure you check with us on the best way for a child to design a t-shirt. There are certain ways a design can be created that bests transfers to a great t-shirt graphic. We’ll be happy to discuss how. Now lastly, custom t-shirts for a birthday party are great for parties that involve a public destination such as a zoo or amusement park. Having color coordinated t-shirts allows the party hosts to keep track of their party attendees more easily. Having all attendees in the same colored t-shirts makes it very easy to keep track of the party and keep it together. Just remember, people get birthday party t-shirts for all kinds of reasons. These are just some of the more common reasons, but really, we’ve printed shirts for a variety of reasons for parties.